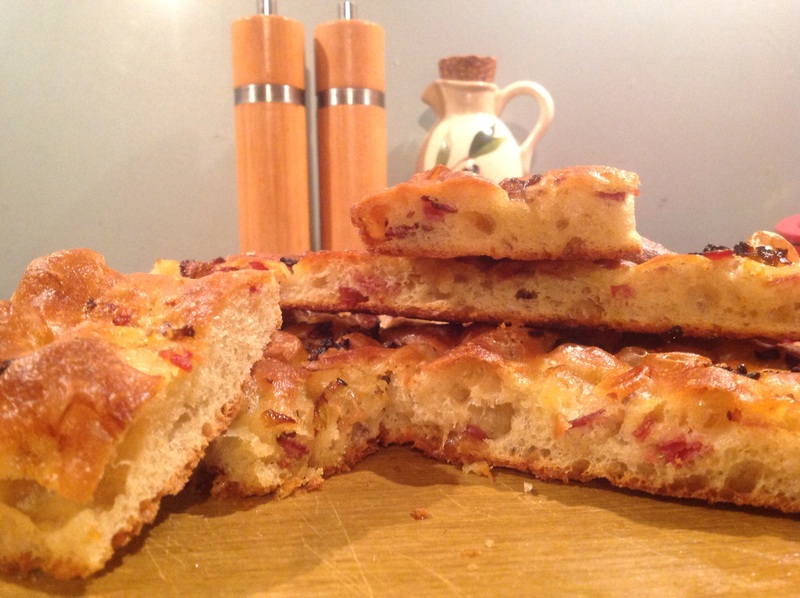 Another focaccia variation, this time using up some left-over hams after Christmas. 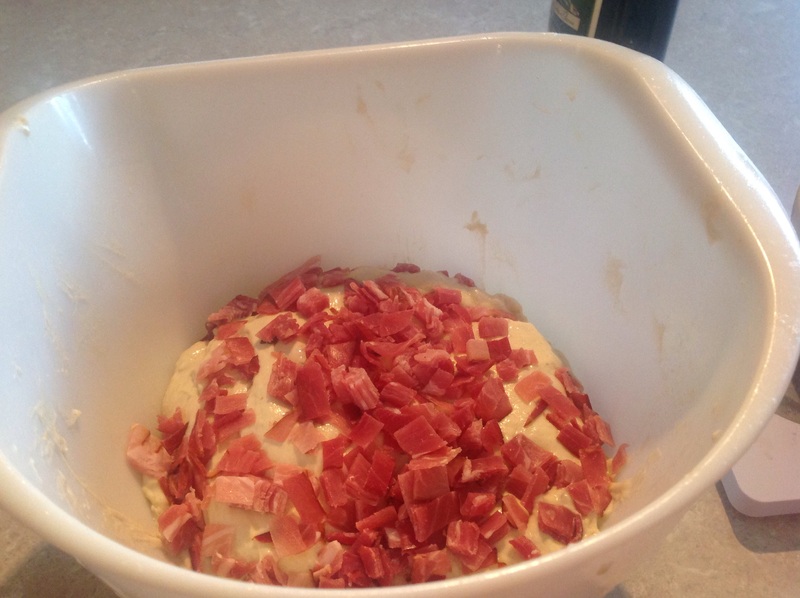 I used a mixture of Parma and Black Forest ham, taking off the fat and chopping it into smallish pieces. The salty-smokeyness of the hams adds a lovely flavour to the focaccia. To the main focaccia recipe here, I worked in 130g chopped ham to the dough just prior to its overnight rise in the fridge. 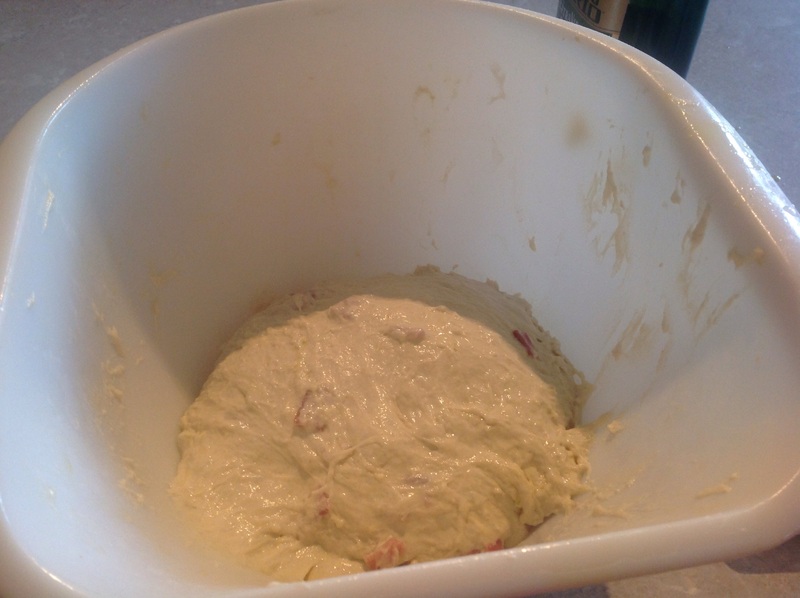 The risen dough was then carefully spread out over a very large baking sheet: I used one that just about filled an oven shelf. A couple of onions, sliced and very slowly cooked in extra-virgin olive oil and thyme in a pan over a low heat, were scattered over the focaccia before baking, adding a subtle sweetness that works well with the ham. That looks likes a wonderful focaccia! Thank you. And it did not last too long!